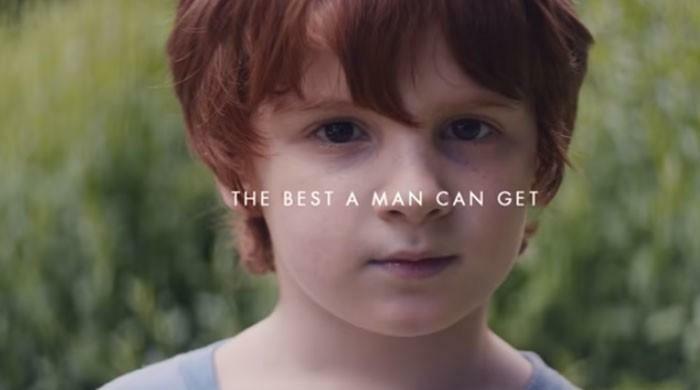 For PR people, the Gillette ad that roiled social media and birthed a thousand thought pieces raises an old question – is there such a thing as bad publicity? Normally when a company manages to generate international attention and earn millions of views for a brand message, it’s a win. Certainly the controversy has been a huge boost for the ad before its official launch on Super Bowl Sunday. According to Sentieo, Gillette mentions exploded to 900,000 on Tuesday. The brand’s 30-day average is only 2000. That’s a lot of buzz for a commodity product. And it’s tempting to compare the Gillette ad strategy with the now-famous Nike Colin Kaepernick campaign. In Nike’s case, the brand suffered legitimate backlash, sporadic boycotts, and even a temporary drop in its share price because the ad offended some people. Yet its success was never really in doubt because the values expressed align with those of Nike’s core audience of young males. Brand Gillette’s situation is trickier, and the ad’s success is less clear-cut. There’s a lot to like about the message. As a statement against bullying, sexual harassment and other forms of so-called “toxic” masculine behavior, the video is fine. The tagline “The Best A Man Can Be” is a nifty twist on the classic Gillette tagline “The Best A Man Can Get.” And it’s very topical given the power of the #metoo movement. But that’s also where things get hairy. First, there’s the issue of tone. The ad is serious to the point of preachy, and that can be…um, irritating. Exasperated customers tweeted things like, “I just want a razor, not a lecture on ethics.” Does our every purchase, no matter how personal or mundane, need to be an extension of our social values? And what is “toxic masculinity,” really? The term is overused and self-important. More importantly, some men are offended by the message. These are the customers who say they’re dumping Gillette because the ad attacks traditional masculine conduct. The reaction has launched countless Twitter wars by some who insist that if you object to the ad, you must be one of those toxic personalities. Criticizing an ad that condemns bad behavior shouldn’t mean you endorse the behavior, but people have chosen sides, and it’s not pretty. Ironically, while some are calling the ad “feminist propaganda,” many women and pro-feminist men hate it, too. They say Gillette is exploiting #metoo to sell razors at a time when sales are slipping due to the popularity of facial hair. Like greenwashing, they charge, it has everything to do with making money and nothing to do with making real change. They support the message but don’t trust the messenger. In fairness, Gillette unveiled a fresh take on its tagline in a new campaign last year aimed at the “expressive modern male,” so the video isn’t entirely a bolt from the blue. But to my knowledge the brand has no real history supporting gender equality or related issues, so it’s vulnerable to charges of opportunism. But what really burns is a more subtle aspect of the message here. 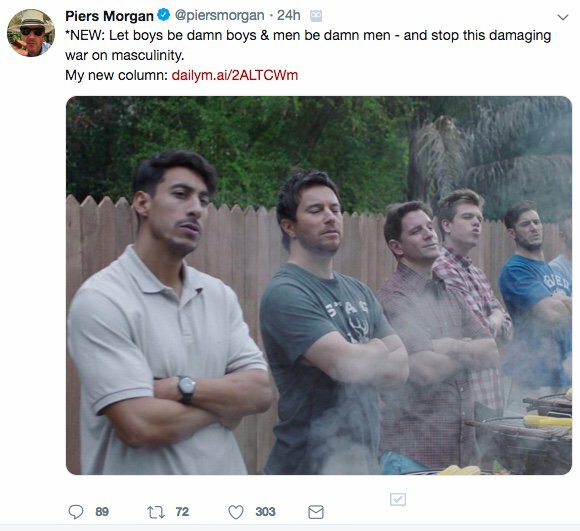 That’s the ad’s call for men to hold one another accountable. And it depicts a real range of “toxic” conduct, from playground fights to #metoo. It’s also where the similarity with the Nike strategy ends. Nike was making a corporate statement about its spokesperson’s stand on racial justice. Customers could support that stand or walk away from it. But the Gillette ad calls on the brand’s own customers to address an entire spectrum of common behavior where we may not all agree on the rules. Can you really equate laughing at a stupid sitcom joke with overt sexual harassment? Where does personal responsibility begin and end when it comes to the social behavior of friends and colleagues? It’s okay if a brand statement makes us uncomfortable; in fact, it’s often admirable and may be a goal of great advertising. Yet the many and varied critiques of the Gillette video, and its muddled message, make it a tough one to embrace. I’m not sure if the ad will help Gillette sell razors. But what it probably portends is that we’ve entered a period of “woke” advertising. That means it isn’t enough for the brand message to be socially conscious, or to tap public awareness of big issues to make a statement. Viewers and opinion leaders will weigh in on all aspects of a brand’s position, starting with its authenticity. Gillette’s next phase should involve a tangible commitment to ending bullying, sexual harassment, or whatever “toxic” behavior it chooses to take on as a part of its brand platform. In the “new” era of woke marketing, brands who want to succeed will need to walk the walk. Ad is toxic feminist propaganda. Contacting Dollar Shave Club when I next need razors. This post does a good job of pointing out that Gillette’s message on social change in their newest advertisement, which was ultimately created in an effort to sell more razors, was confusing for many. I think Gillette should have thought harder about who their audience was for this advertisement and tailored a message that was more appropriate to the ultimate goal: to sell razors. Even though Gillette had good intentions, sometimes the timing or the message just isn’t right.